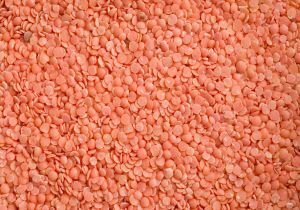 Ervum Lens.�Lentils belong to the Pea tribe, and are used as food all over the south of Europe, in the East, and in Egypt. The flour is very wholesome and nutritious, and Dr. Play fair found that it contained more nutritious matter than any other Pea or Bean meal. In addition to their rice the Hindus take Lentils when engaged in hard labour. The Egyptian Lentil meal known as Revalenta and Ervalenta Arabica is very nutritious, easy of digestion, and possesses aperient properties, and therefore very suitable for the diet of invalids, especially for the dyspeptic.